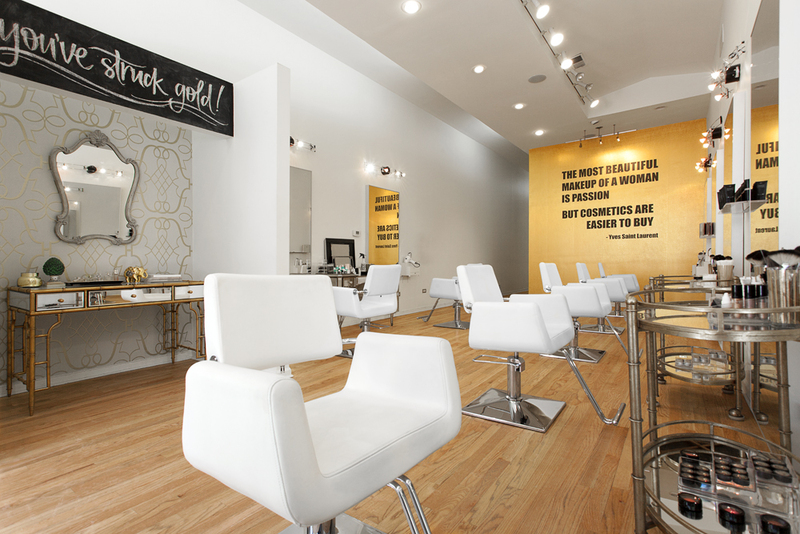 Started by sisterpreneurs Mal & Coco, goldplaited opened as one of Chicago’s first finishing salons to include both hair & makeup under one roof. That said, the guys & gals of goldplaited have one thing in common: hair + makeup is their passion! They take great pride in assembling a team of talented, approachable and professional artists who take their craft very seriously. The goldplaited glam squad is constantly elevating, learning and growing to ensure on-trend and flawless looks for their clientele. Located in Lake View, we instantly fell in love with their space. Their studio is feminine, bright and beautifully bold with yellow hues and gold accents.